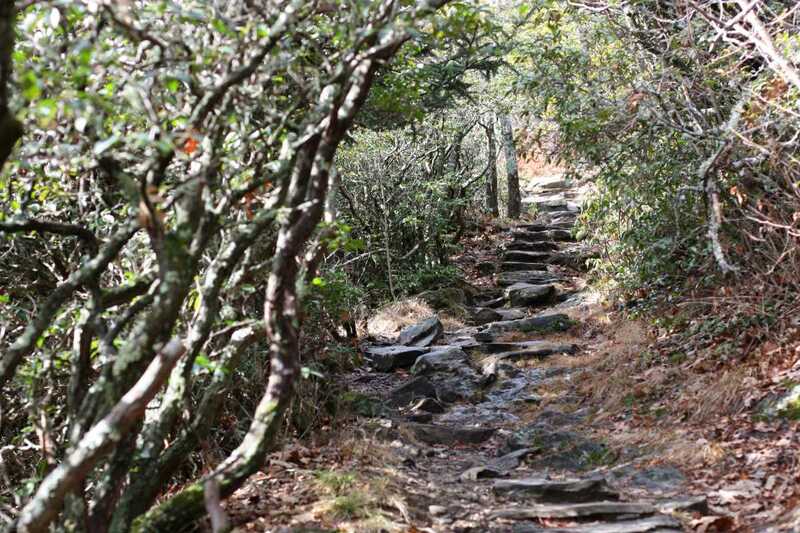 The trail to Mount Pisgah in the Pisgah National Forest offers hikers superior views for a modest effort. 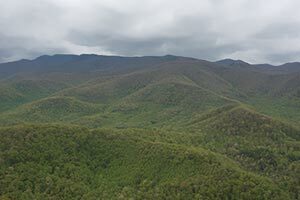 This, combined with its proximity to Asheville and other local hikes makes it one of the most popular trails along the Blue Ridge Parkway. 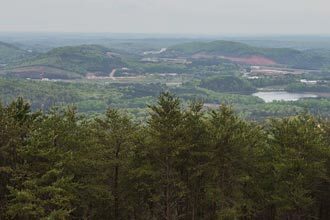 Don’t let the short mileage fool you; the last half gains most of this hike’s 700 ft of elevation. 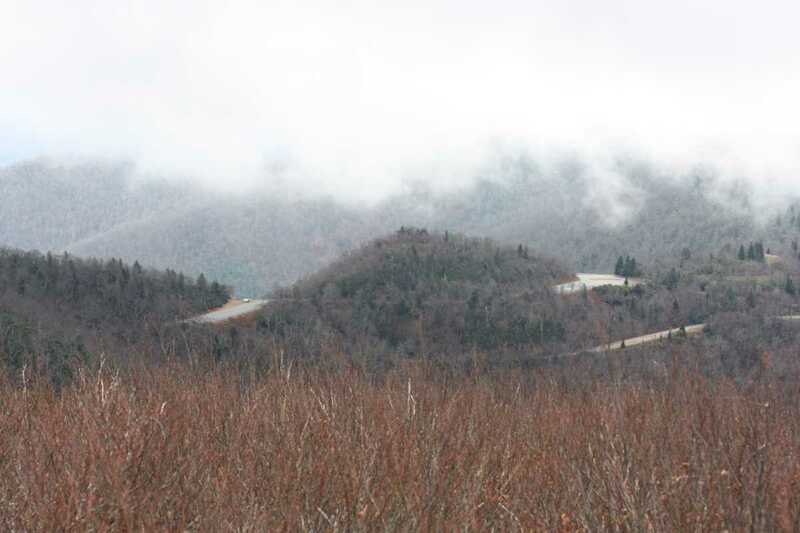 Between mile markers 407 and 408 along the Blue Ridge Parkway, look for the sign for the turnoff. 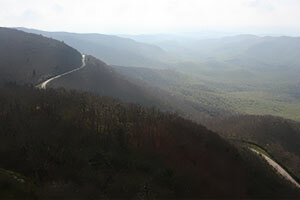 Two large parking lots afford excellent views on both sides of the parkway, including the mountain you are about to climb. 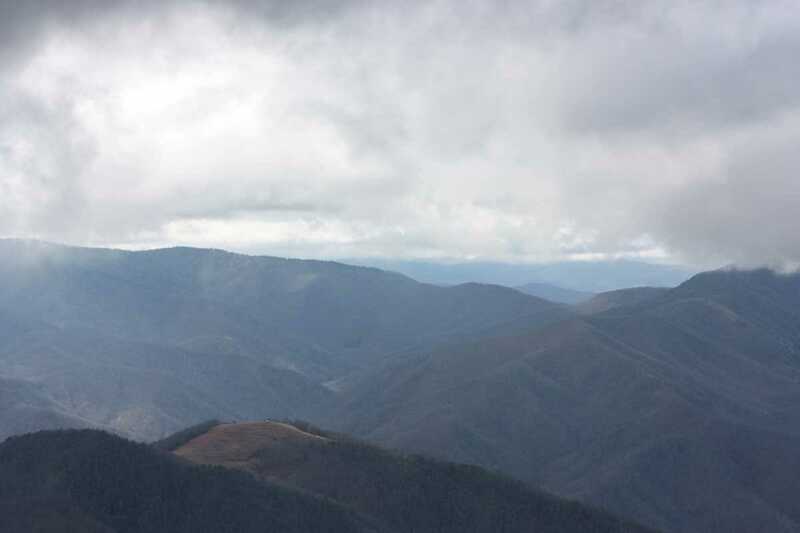 The transmission tower at the summit is clearly visible, however, doesn’t obstruct much of the view from the top. 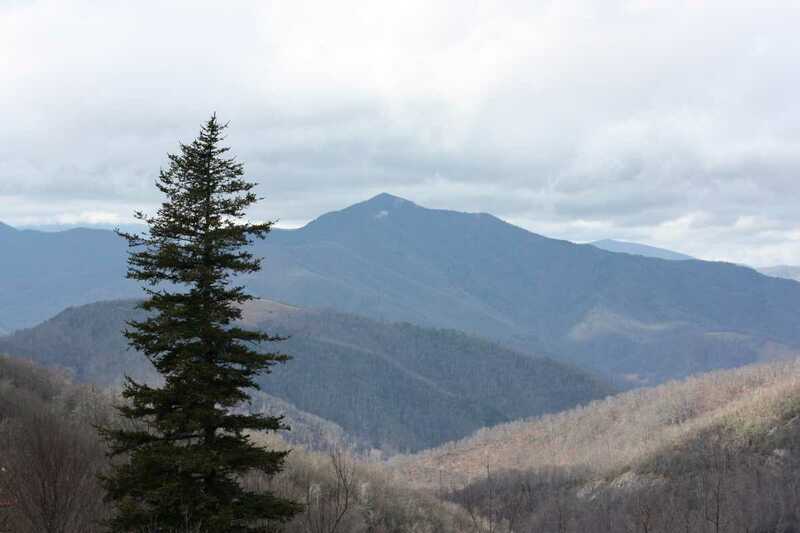 During the summer months there are public restrooms a short distance to the south at Pisgah Inn. Exploring around the parking area you will discover several other short trails. 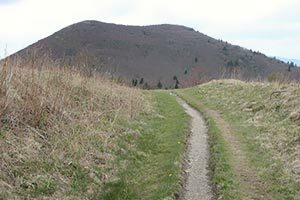 The trail for Mt. 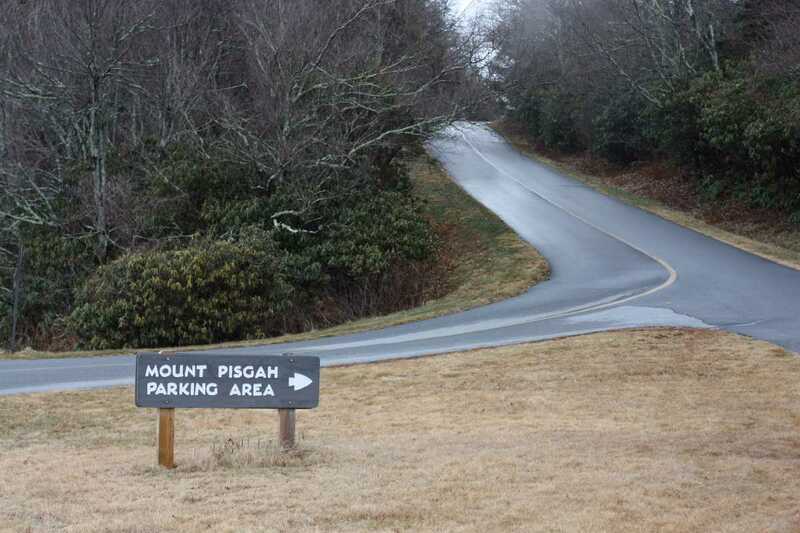 Pisgah begins at the end of the second parking lot. 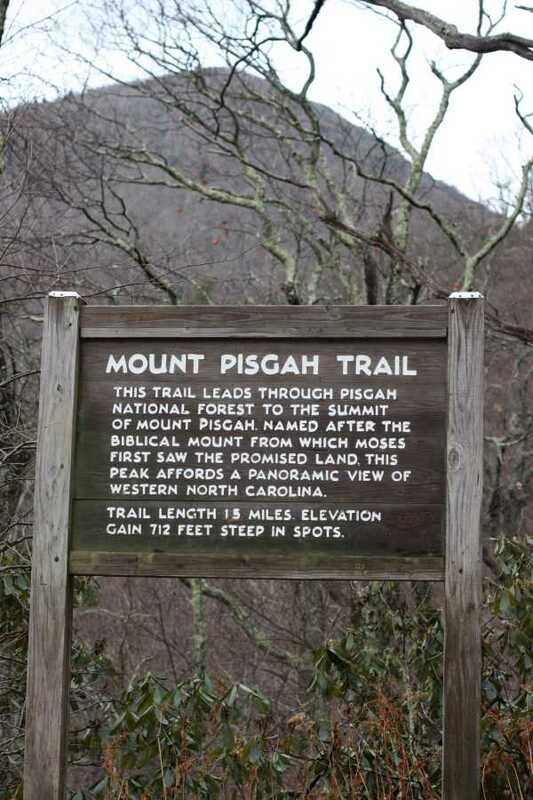 A large sign describing the origin of the name marks the trailhead. 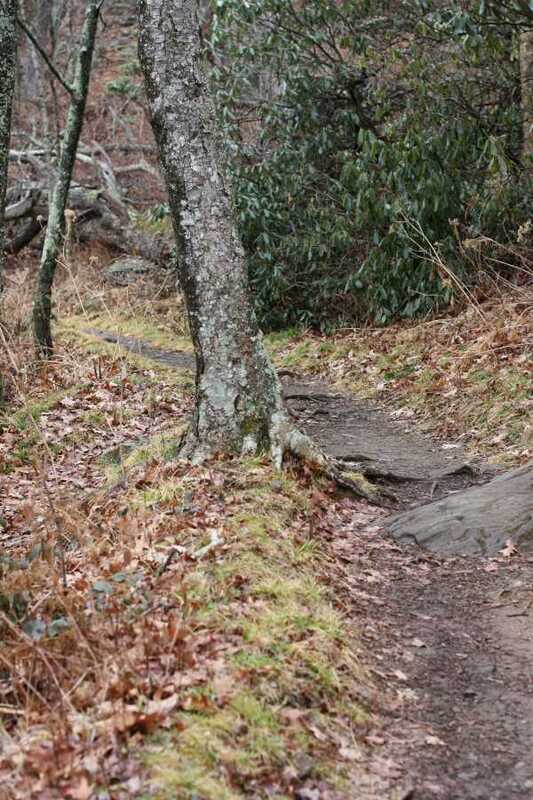 The first half miles of the trail is very tame, however a bit rocky. 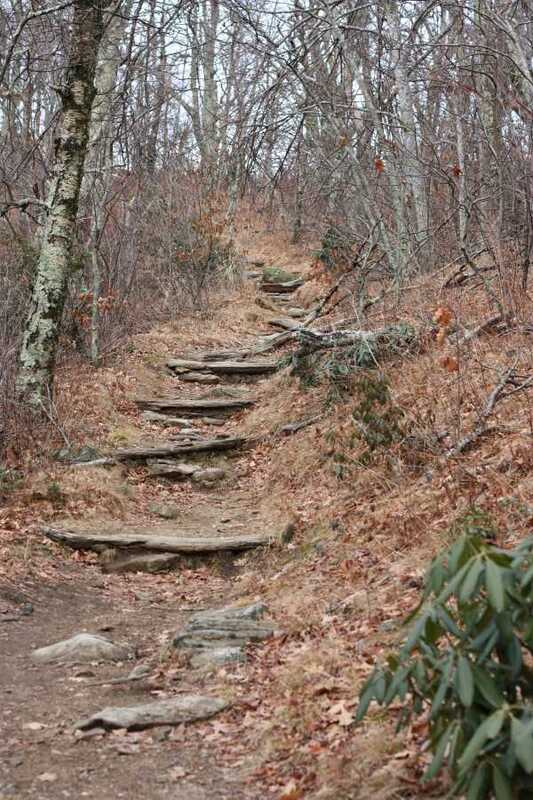 The trail soon turns to several flights of stone and wood steps. From here, it’s all uphill, gaining almost all of its elevation in the last .7 miles. 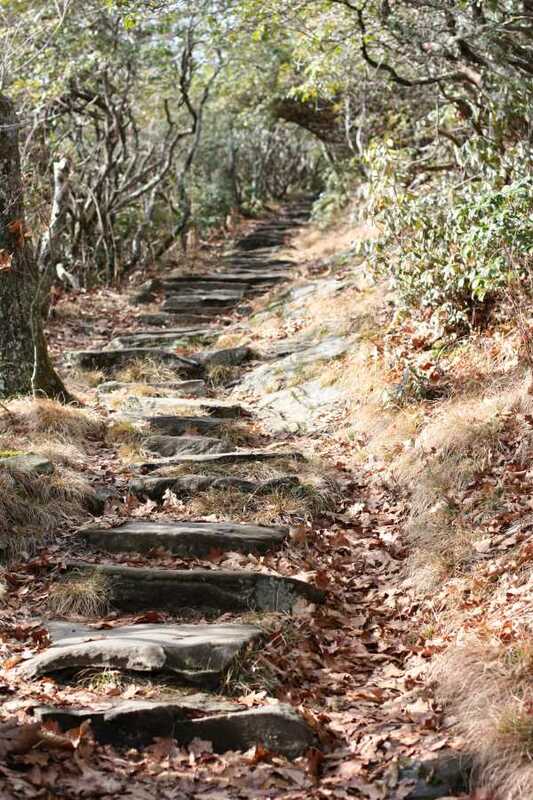 The trail is easily followed and becomes one long flight of steps after another. 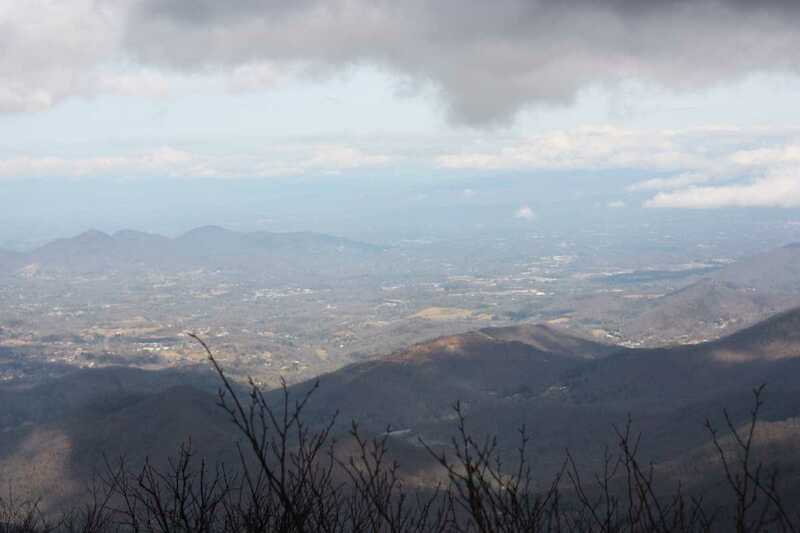 There are a few winter views, but most views will be obstructed in the warmer months. There are a couple of places with steep drop offs, so watch children. 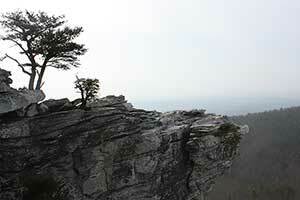 At 1 mile in, there is a small overlook back toward the parking lot. This is just a taste of what the top holds. 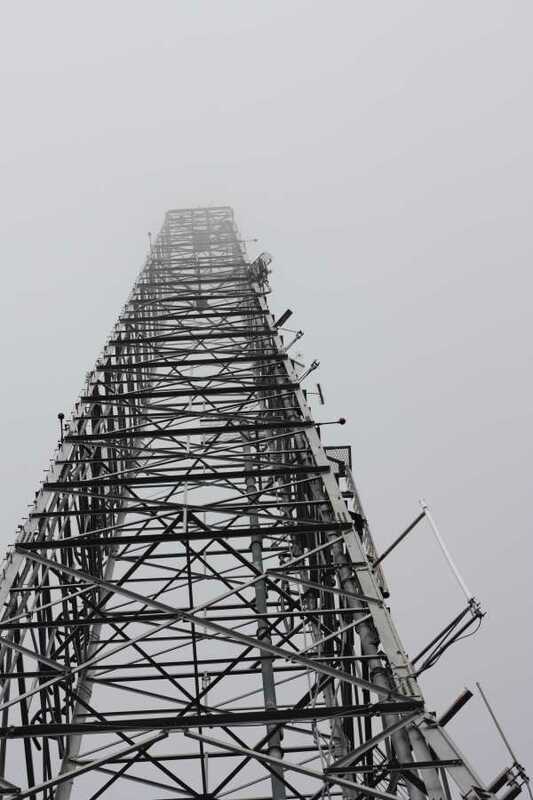 Shortly after this, you will begin to see the transmission tower above you. 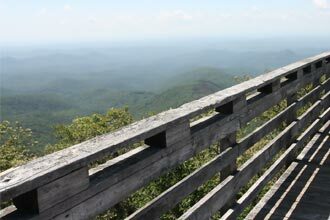 Arriving at the base of the tower and the summit, a small observation deck allows for almost 360° views. 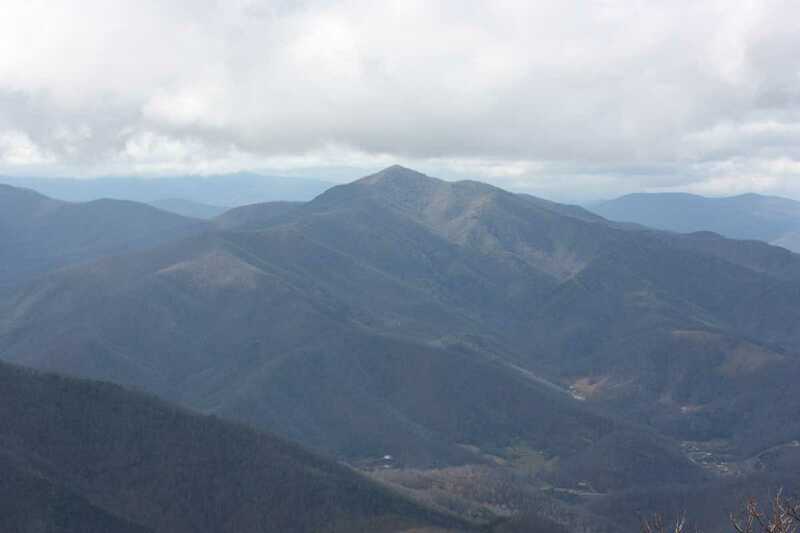 Toward the southeast is the parking lot and Pisgah Inn. 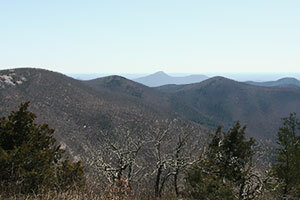 Toward the west is Cold Mountain, standing prominently above the surrounding hills. The trailhead is at the end of the second parking area. There are a few steep drop offs, so keep watch over children. Beautiful hike that made you feel like you really were doing something and the pay-off at the top was worth it all! 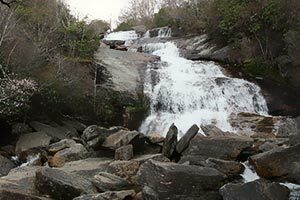 Great description of hike and all the info i needed to plan the day and know exactly what to expect! Well done. 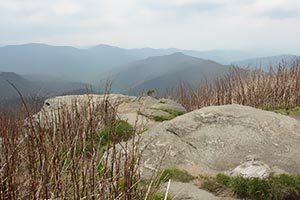 This was tough but worthwhile for a beginning hiker. Felt a real sense of accomplishment at the peak. Wonderful views!!! 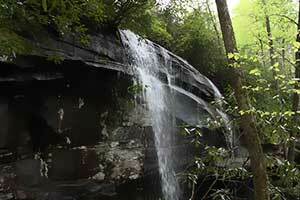 This is a great hike for those looking for some challenge, but not too much. The views at the top are outstanding. Just ignore the transmission tower.